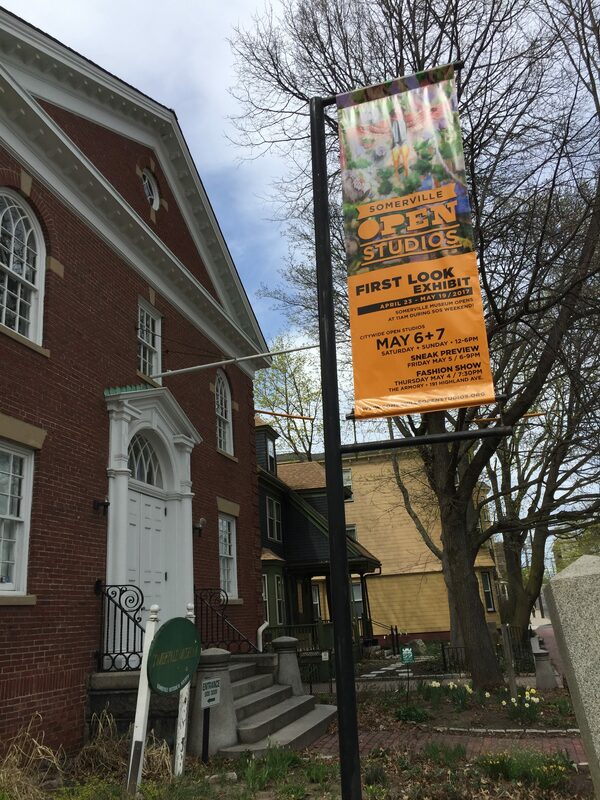 [Editor’s note: LCAL student Robert Puig Reyes will be participating in this year’s Somerville Open Studios, which takes place on the weekend of May 6th and 7th, from noon until 6 pm each day. He will be opening his studio, along with three studio-mates, and exhibiting some of his paintings and drawings.] Somerville Open Studios (S.O.S.) will be showcasing some of the most diverse talent Somerville has to offer. In addition to Reyes’ work, there will be over 350 different artists scattered throughout the city, and over 90 sites to choose from; the event will be a smorgasbord of visual delights that is bound to inspire everyone who attends. With so much area to cover, Free Trolleys will be available to shuttle people around the city in a continuous loop. There will also be free off-street parking available, and S.O.S recommends walking, or cycling (there is a bike path that stretches from Davis Square into the heart of Somerville near City Hall). The Somerville Museum will kick off S.O.S. with an artist reception this Sunday, April 23rd, from 4-6:30 pm, in conjunction with the City of Somerville’s 175th Birthday Celebration. 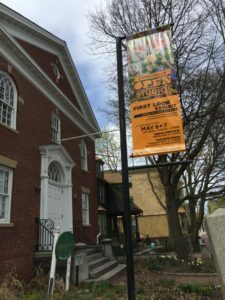 Somerville Open Studios is a non-profit organization created by Somerville artists to assist the community in arts education through the annual open studios and events. With mostly volunteers, many local businesses work with the artists to help ensure that the whole community benefits from this collaborative endeavor – restaurants, doughnut shops, art galleries, and The Arts at the Armory, which is hosting a “Kids’ Art Show,” to name a few. The Somerville Arts Council and mayor Joseph A. Curtatone take an active part in this annual event. They know that S.O.S. brings in art lovers from all over New England and abroad. It’s a great opportunity to bring friends and family together and wander around, challenging your aesthetics and tastes. You can also plan your adventure in advance by going to The Somerville Museum beforehand and picking out the kinds of artwork you like. With map in hand, you can pin-point exactly what or who you’re looking for. You can also find more detailed information at www.somervilleopenstudios.org. Open Studios always offers opportunities to meet artists in person and see them in their work environments. By taking a glimpse into their creative processes, you can begin to unravel and maybe even understand what motivates these folks. Having personal access to the various artists is an enlightening experience, and the public is encouraged to ask questions. There are many artists who actually open up their own homes and work spaces, and this can convey a real sense of intimacy. Other artists need studio space to help them focus or to keep hazardous materials in a safe place, but these are accessible as well. Some studio spaces are in big industrial buildings to accommodate large-scale projects. Whether you visit a sculptor, painter, or performance artist, be prepared to take something home with you; these memories will last a life-time. Weather permitting, this year’s Somerville Open Studios weekend will be a blast. It evolves and keeps blossoming into a unique experience each year. Be sure to wear a comfortable pair of shoes and bring a dependable bag to stuff with all sorts of goodies. The event is free and open to the public. All the venues are family friendly, with some exceptions for pets. Many buildings are handicap accessible and can be found on the S.O.S. maps or website. Come on out and be a part of this year’s 175th City of Somerville Birthday Celebration as well. Sounds like an event worth visiting! Very detailed descriptions! Makes you want to go!